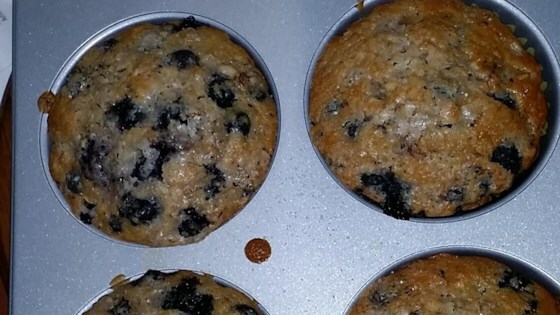 "These are the best muffins that I have every made! They're sweet, nutty and full of apple flavor." Preheat oven to 350 degrees F (175 degrees C). Lightly grease or line 24 muffin cups. In a large bowl, cream together butter and 1 1/2 cup sugar. Beat in eggs and vanilla. Combine flour, baking powder, baking soda and salt. Stir into the creamed mixture alternately with sour cream. Fold in apple pie filling and walnuts. Spoon batter into prepared muffin cups. Combine 1/4 cup sugar and cinnamon; sprinkle over the muffins. Bake in preheated oven for 16 to 18 minutes, until a toothpick inserted into the center of a muffin comes out clean. The best muffins I ever made. I did add 1 tsp. cinnamon to the batter and used Jumbo muffin pans. The baking time then inceases to 30 minutes. Very Good muffins! These were so yummy and they made my home smell wonderful while baking! Very easy to make as well. Thanks for sharing. I made these for my co-workers, and have gotten only RAVE reviews! They are so moist, and just the right combination of sweet and nutty. This is going to become one of my regular recipes!